Below, we’re going to address the three basic styles or stock investment strategies that investors commonly use to approach investing in stocks. The strategy of value investing, in simple terms, means buying stocks of companies that the marketplace has undervalued. The goal is not to invest in no-name companies that haven’t been recognized for their potential – that falls more in the venue of speculative or penny stock investing. Value investors typically buy into strong companies that are trading at low prices that an investor believes don’t reflect the company’s true value. Value investing is all about getting the best deal, similar to getting a great discount on a designer brand. When we say that a stock is undervalued, we mean that an analysis of their financial statements Analysis of Financial StatementsHow to perform Analysis of Financial Statements. This guide will teach you to perform financial statement analysis of the income statement, balance sheet, and cash flow statement including margins, ratios, growth, liquiditiy, leverage, rates of return and profitability. See examples and step-by-step instructionindicates that the price the stock is trading at is lower than it should be, based on the company’s intrinsic value. This might be indicated by things such as a low price-to-book ratio (a financial ratio favored by value investors) and a high dividend yield, which represents the amount in dividends a company pays out each year relative to the price of each share. The marketplace is not always correct in its valuationsValuation MethodsWhen valuing a company as a going concern there are three main valuation methods used: DCF analysis, comparable companies, and precedent transactions. These methods of valuation are used in investment banking, equity research, private equity, corporate development, mergers & acquisitions, leveraged buyouts and finance and thus stocks often simply trade for less than their true worth, at least for a period of time. If you pursue a value investing strategy, the goal is to seek out these undervalued stocks and scoop them up at a favorable price. The value investing strategy is pretty straightforward, but practicing this method is more involved than you might think, especially when you’re using it as a long-term strategy. It’s important to avoid the temptation to try to make fast cash based on flighty market trends. A value investing strategy is based on buying into strong companies that will maintain their success and that will eventually have their intrinsic worth recognized by the markets. Warren BuffetWarren Buffett - EBITDAWarren Buffett is well known for disliking EBITDA. Warren Buffett is credited for saying “Does management think the tooth fairy pays for CapEx? ", one of the greatest and most prolific value investors of the century, famously said, “In the short term, the market is a popularity contest. In the long term, the market is a weighing machine.” Buffet bases his stock choices on the true potential and stability of a company, looking at the whole of each company instead of simply looking at an undervalued price tag that the market has assigned individual shares of the company’s stock. However, he does still prefer to buy stocks he perceives as “on sale”. For decades, growth investing has been held as the yin to value investing’s yang. 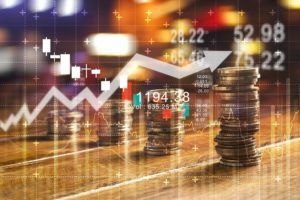 While growth investing is, in the most basic terms, the so-called “opposite” of value investing, many value investors also employ a growth investing mindset when settling on stocks. Growth investing is very similar, in the long-term, to value stock investing strategies. Basically, if you’re investing in stocks based on the intrinsic value of a company and its potential to grow in the future, you’re using a growth investing strategy. Growth investors are distinguished from strictly value investors by their focus on young companies that have shown their potential for significant, above average growth. Growth investors look at companies that have repeatedly shown indications of growth and substantial or rapid increases in business and profitProfitability RatiosProfitability ratios are financial metrics used by analysts and investors to measure and evaluate the ability of a company to generate income (profit) relative to revenue, balance sheet assets, operating costs, and shareholders' equity during a specific period of time. They show how well a company utilizes its assets. The general theory behind growth investing is that the growth in earnings or revenue a company generates will then be reflected by an increase in share prices. Differing from value investors, growth investors may often buy stocks priced at or higher than a company’s current intrinsic worth, based on the belief that a continued high growth rate will eventually boost the company’s intrinsic value to a substantially higher level, well above the current share price of the stock. Favorite financial metrics used by growth investors include earnings per share (EPS)Earnings Per Share Formula (EPS)The Earnings Per Share formula is a financial ratio, which counts net earnings against the total outstanding shares over a fixed period of time. A higher EPS ratio indicates a company’s ability to generate profits for common shareholders., profit margin, and return on equity (ROE)Return on Equity (ROE)Return on Equity (ROE) is a measure of a company’s profitability that takes a company’s annual return (net income) divided by the value of its total shareholders' equity (i.e. 12%). ROE combines the income statement and the balance sheet as the net income or profit is compared to the shareholders’ equity.. In truth, if you’re considering a long-term approach to investing, a fusion of value and growth investing, as Buffet so effectively employs, may be worth your consideration. There are good reasons to back up taking these stock investment strategies. Historically speaking, value stocks are usually the stocks of companies in cyclicalCyclical UnemploymentCyclical unemployment entails layoffs, due to an economic recession or depression. Employees are able to reobtain their jobs once the economy expands again. industries, which are largely made up of businesses producing goods and services that people use their discretionary income on. The airline industry is a good example; people fly more when the business cycle is on an uptrend and fly less when it swings downward because they have more and less discretionary income, respectively. Because of seasonality, value stocks typically perform well in the market during times of economic recovery and prosperity, but they are likely to fall behind when a bull market is sustained for a long period of time. Growth stocks typically perform better when interest rates drop and companies’ earnings take off. They are also typically the stocks that continue to rise even in the late stages of a long-term bull market. On the other hand, these are usually the first stocks to take a beating when the economy slows down. A fusion of growth and value investing offers you the opportunity to enjoy higher returns on your investment while reducing a substantial amount of your risk. Theoretically, if you employ both a value investing strategy for buying some stocks while using a growth investing strategy for buying other stocks, you can generate optimal earnings during virtually any economic cycle, and any fluctuations in returns will be more likely to balance out in your favor over time. Index investing is a much more passive form of investing when compared to that of either value or growth investing. Consequently, it involves far less work and strategizing on the part of the investor. Index investing diversifies an investor’s money widely among various types of equities, hoping to mirror the same returns as the overall stock market. One of the main attractions of index investing is that many studies have shown that few strategies of picking individual stocks outperform index investing over the long term. An index investing strategy is usually followed by investing in mutual funds or exchange-traded fundsExchange Traded Fund (ETF)An Exchange Traded Fund (ETF) is a popular investment vehicle where portfolios can be more flexible and diversified across a broad range of all the available asset classes. Learn about various types of ETFs by reading this guide. that are designed to reflect the performance of a major stock index such as the S&P 500 or the FTSE 100. Each investor has to discover their own personal stock investment strategies that best suit their individual wants or needs, as well as their investment “personality”. You may find that combining the three approaches discussed here is what works best for you. The investing strategy or strategies you employ will often change during the course of your life as your financial situation and goals shift. Don’t be afraid to shake things up a bit and diversify the ways in which you invest, but strive to always maintain a firm grasp on what your investment approach entails and how it will likely affect your portfolio and your finances. Technical Analysis – A Starter’s GuideTechnical Analysis - A Beginner's GuideTechnical analysis is a form of investment valuation that analyses past prices to predict future price action. 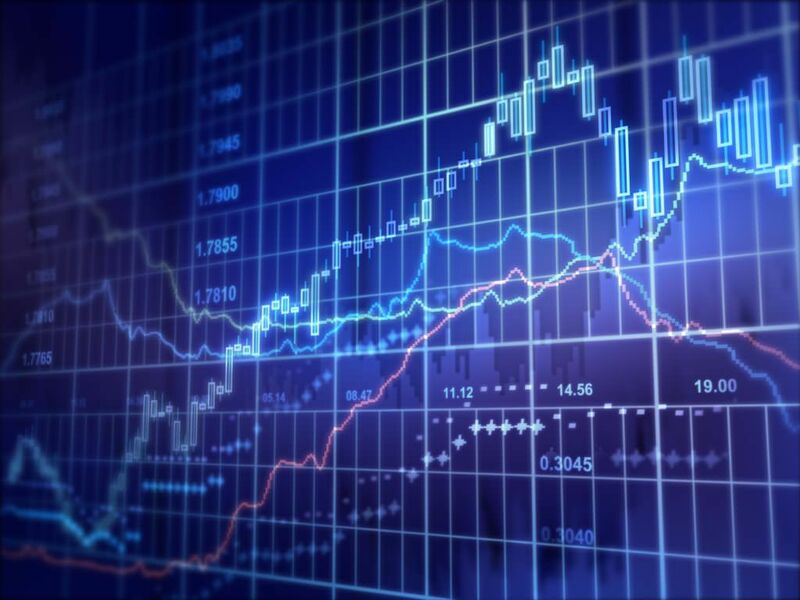 Technical analysts believe that the collective actions of all the participants in the market accurately reflect all relevant information, and therefore, continually assign a fair market value to securities.